Portek Magnum Birdscaring Banger Ropes. 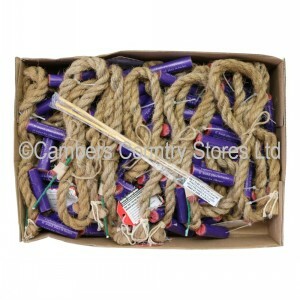 The ultimate bird scaring day rope using our larger than standard bangers to give better results. With about 6 hours of burning time, bangs are about 30 minutes apart. Contains twice the amount of charge than standard bangers by volume.